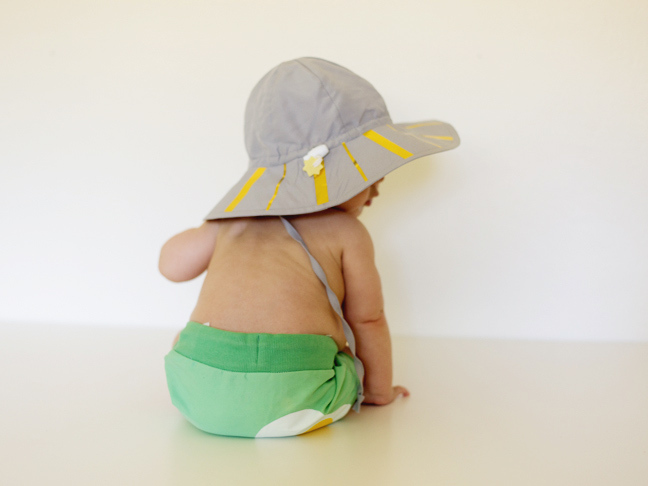 I confess: I hate baby sun hats. 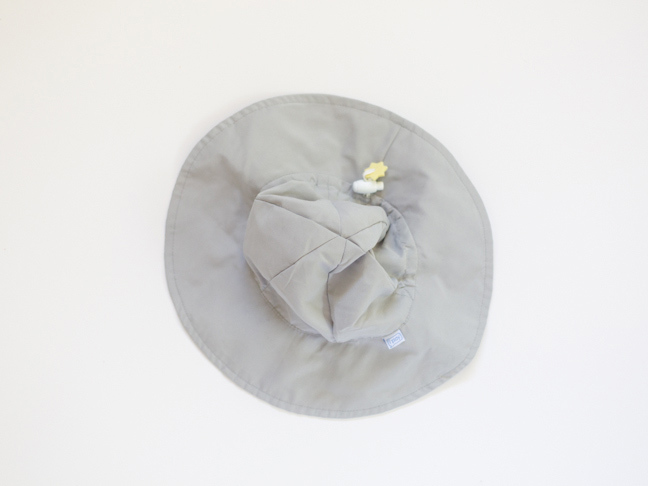 The majority of the sun hats that I have tried on my kiddo have either fit poorly, fallen off, not given enough sun protection, or have been just plain unattractive. I know, I know! That superficial thought shouldn’t even cross my mind when it comes to protecting my little dude from the sun, but it does. 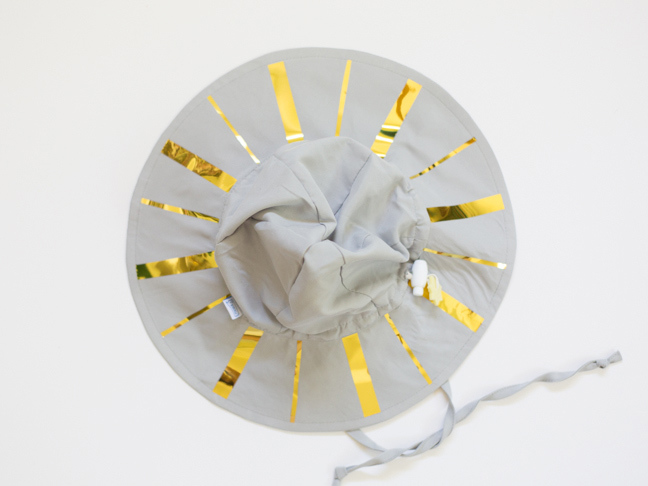 So I took matters into my own hands and found a plain old sunhat with great protection, and jazzed it up with a little golden touch. 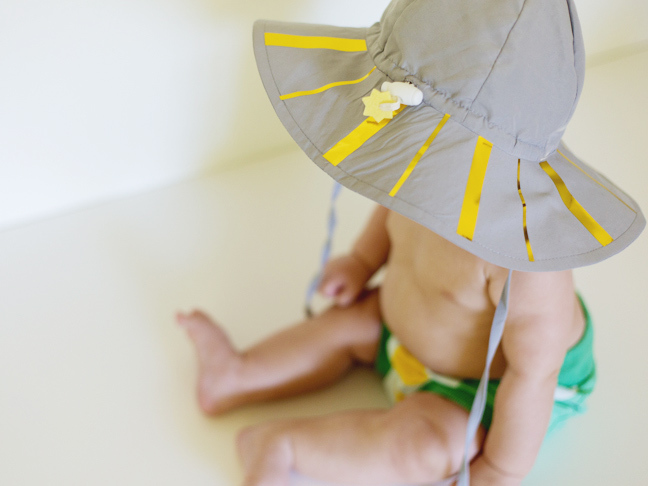 It was super simple and only took about fifteen minutes—here’s how you DIY a baby sun hat, too! Step 1: Decide on the design you’d like on your hat. 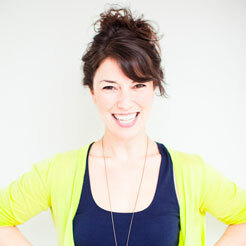 You can do anything from a pattern to an image to your kiddo’s monogram or name if you like! I went with some simple stripes to mimic the look of sunshine. Step 2: Cut out your pieces from the iron-on foil. Keep in mind that if you’re doing words or an image you’ll need to cut them out in a mirror image so that they iron on correctly. 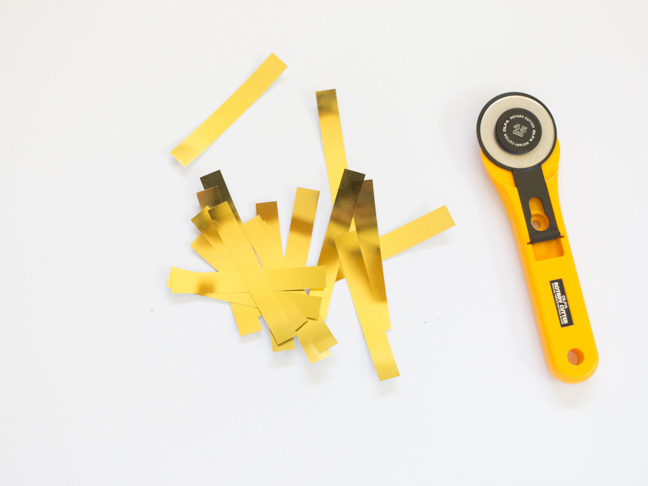 If you’re doing stripes, a rotary cutter and a cutting mat will make it nice and easy. 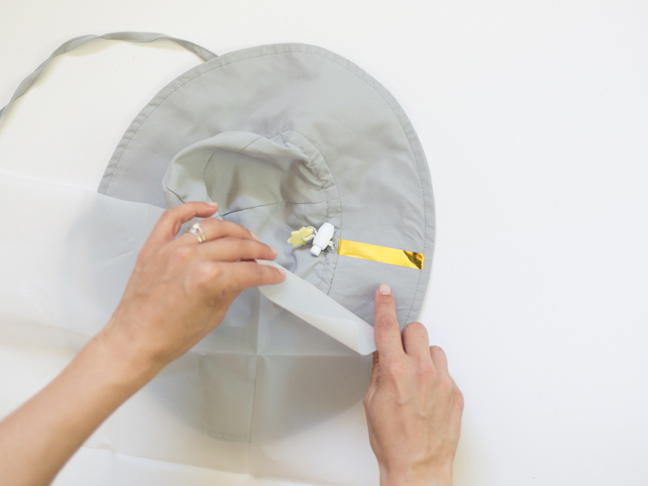 Step 3: Arrange your design in or around your hat to plan where you’ll iron. 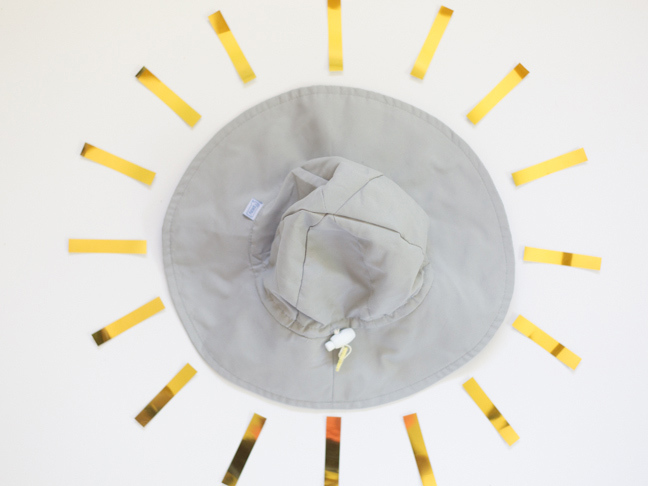 Step 4: Lay your first piece of gold down on the brim of the hat, gold side up. Place the pressing sheet over the top. Step 5: With a hot iron, press down firmly for about twenty seconds, moving the iron around a bit to evenly distribute the heat. Step 6: Remove the iron and the pressing sheet. Allow the area to cool. Carefully peel away the clear cover over the gold foil. 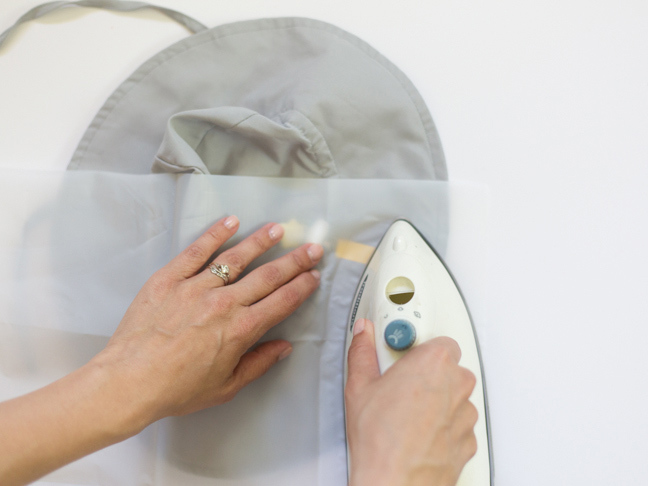 Step 7: Continue in the same manner to iron on the rest of your pieces! 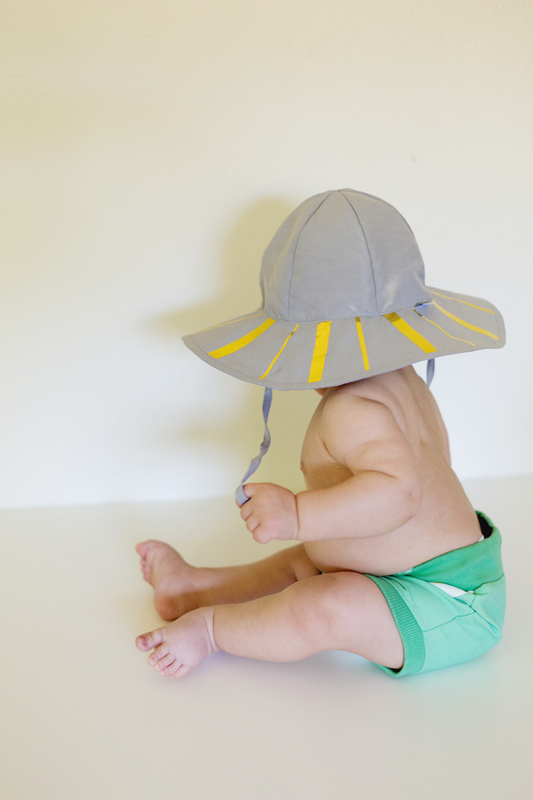 When you’re done, give the hat a wash and take your little one out for some summer fun!